Bassano del grappa (Italy). 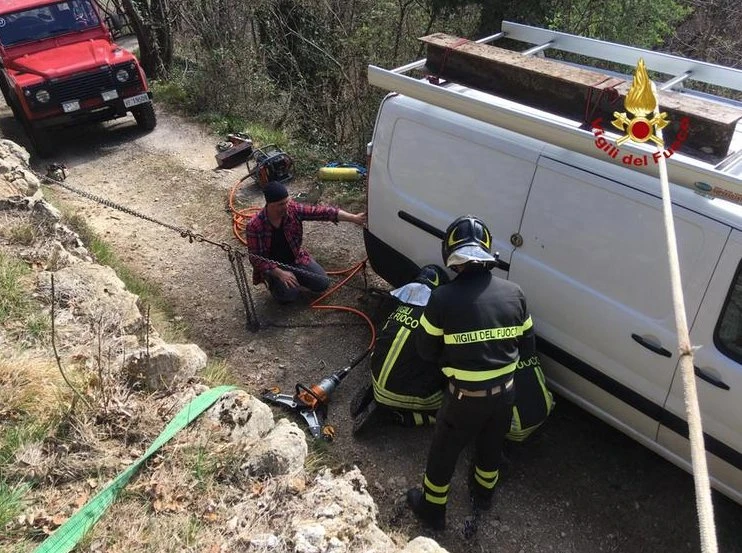 The fire brigade of Bassano, in the province of Vicenza, successfully recovered this van with Syncro System equipment, left hanging over a steep drop at the side of a mountain road. The roof rack that the rescue team used to secure their ropes suffered no damage at all in the hazardous operation. 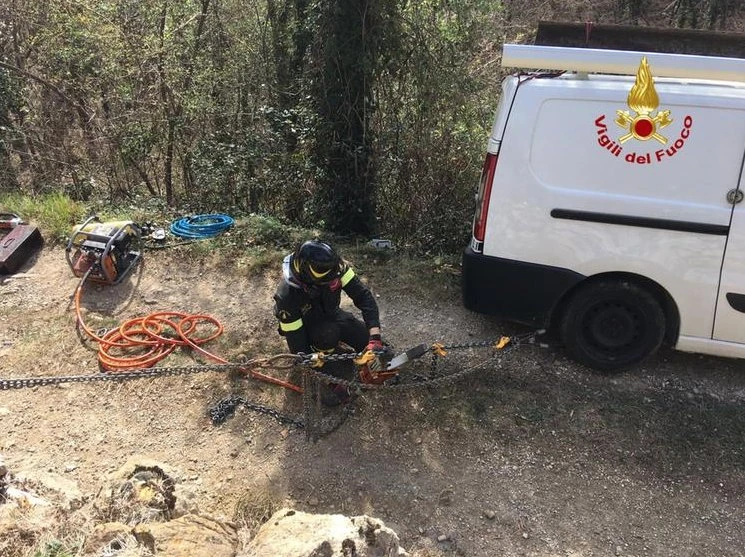 The frightening adventure ended well for the van’s owner, a tradesman from Bassano in the province of Vicenza. He escaped unhurt, his van suffered no damage and his Syncro racking and roof bars also came to no harm. This incident demonstrates once again just hot tough Syncro System products are and how they can withstand even the most extreme use. The accident happened in the early hours of the morning. 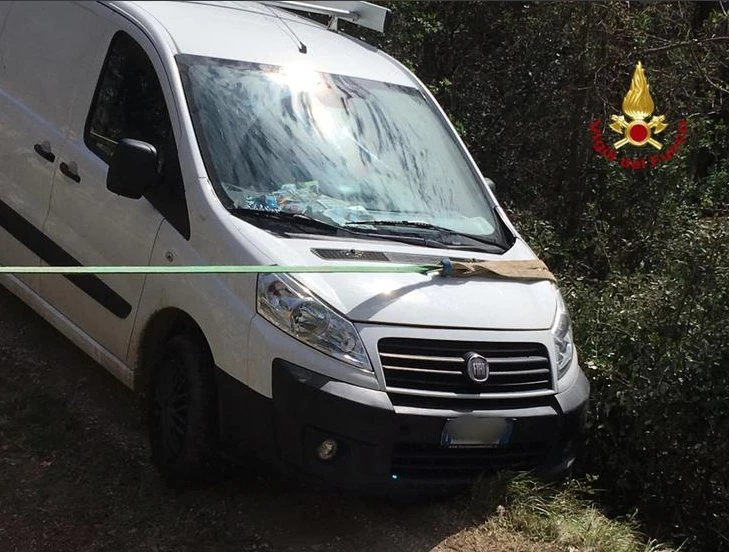 The tradesman was driving his Fiat Scudo van to a construction site on which he was working when the van left the road on a narrow, unmetalled section, ending up with its wheels in the air over a drop of almost 30 metres down a bushy slope. 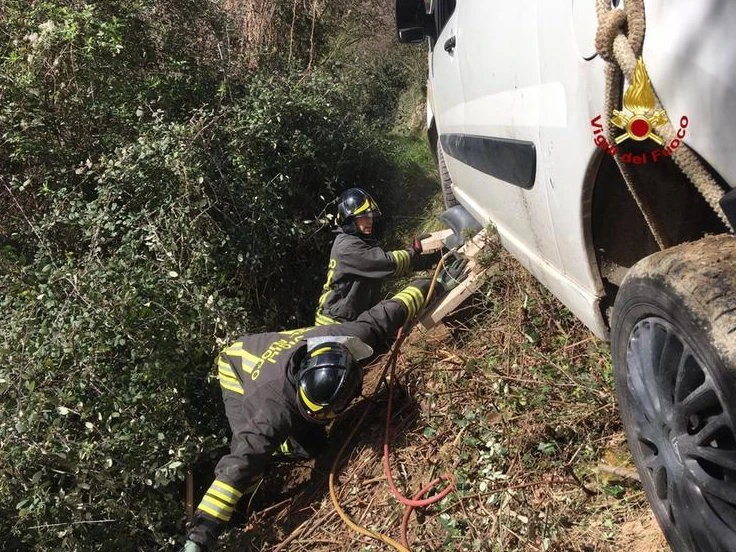 The driver managed to climb out and immediately called for roadside assistance, but the imminent risk of the van falling and the logistic difficulties of the road made it impossible for the assistance service to do anything. The local fire brigade was therefore called out. 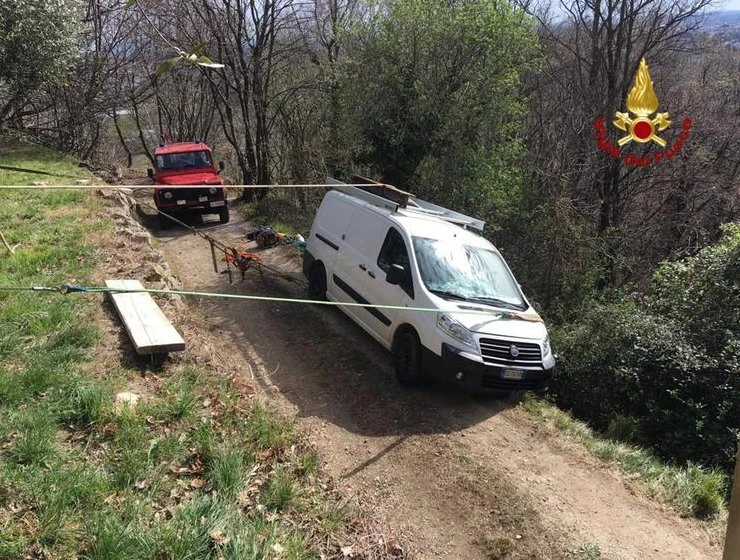 They slung straps around the vehicle, raised the wheels with inflatable cushions and hauled the van back on to the road using a manually operated cable winch. The recovery took about 3 hours. Click here to view photos of vans with Syncro racking that have been involved in accidents. You’ll see just how tough Syncro products are!